Unlike most of the companies, we don’t start our project from keyboard. Designing brochures for companies without knowing about them or their target audience would hamper marketing success. In order to portray a company on paper, we ought to know the company first. What is the message the company wants to convey? Are they going to be distributes online or offline or both? What is the target audience? What do they like? What is your relationship with the audience? As on Online Brochure Design Company in India, we design beautiful brochure designs with a clean and engaging presentation of both text and images speaking for the company. 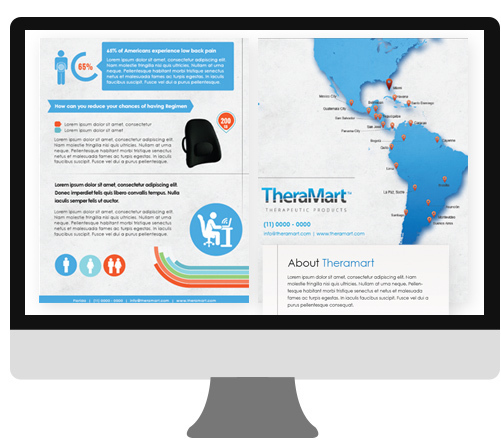 Thinking to outsource your Brochure Designs? 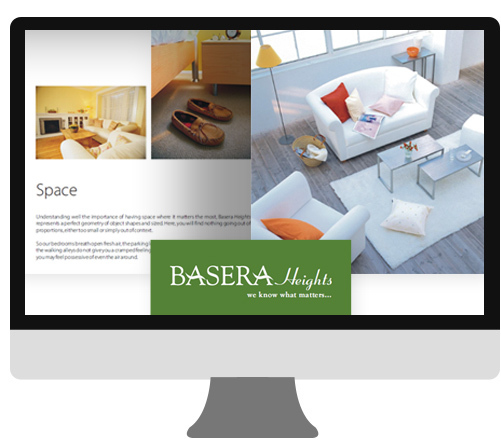 Provided Brochure Design to Basera heights , A Real Estate Project providing spacious and sophisticated living to people at affordable rates. 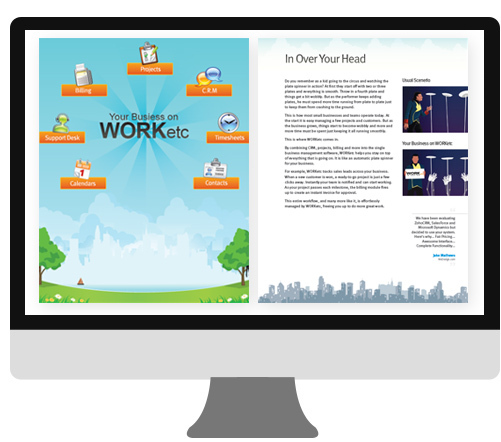 Provided Brochure Design for WorkEtc which combines CRM, projects, billing and more into the single business management software andhelps you stay on top of everything that is going on. 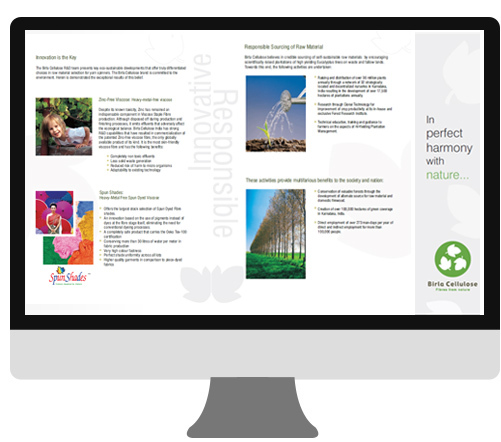 Provide Brochure Design Services to Birla Cellulose, an Aditya Birla Groups initiative to create innovative fibres from nature which are soft, comfortable, bright and durable.